With the powerful technical computing language, the job of detection an object's shape no longer require lengthy codes. 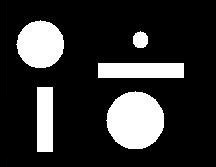 What important is the fundamental of mathematic that define the properties of the shape of objects. Let's look into the detection of round object in this section. 1. 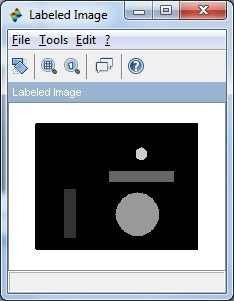 Original image and the negative image (value 0 represent background while 1 represents object). 2. 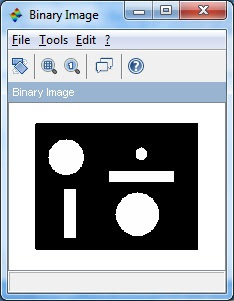 Labeling the objects in the image. The advance programming language will support this function and label the objects automatically. 3. Getting the properties of the objects that require for calculation, which are: the width and height for the object, the area of the object, and the centroid of the object. ToBeCalculated = CreateFeatureStruct(%t); // Feature struct is generated. b. Comparing the Area with the formula pi*r^2. The "scores" are normalized so that 1 represent "best fit"
So now, can you tell which one is the round object by just looking at the "roundness index"?